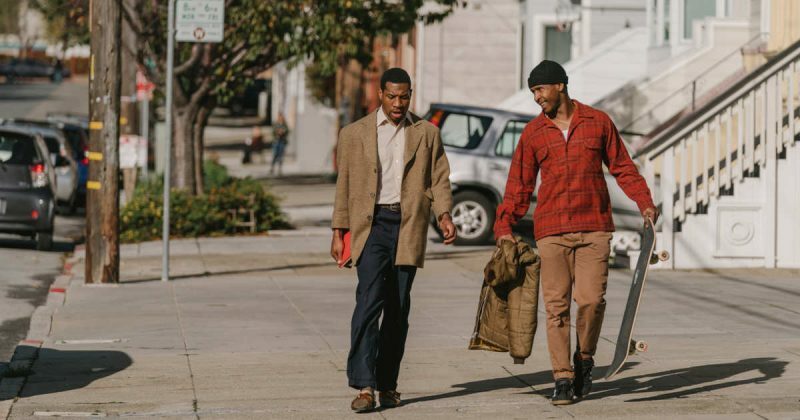 The first trailer for the new drama from first-time feature co-writer/director Joe Talbot, The Last Black Man in San Francisco, is here. You can check out the trailer for the latest A24 drama in the post below. Jimmie dreams of reclaiming the Victorian home his grandfather built in the heart of San Francisco. Joined on his quest by his best friend Mont, Jimmie searches for belonging in a rapidly changing city that seems to have left them behind. As he struggles to reconnect with his family and reconstruct the community he longs for, his hopes blind him to the reality of his situation. A wistful odyssey populated by skaters, squatters, street preachers, playwrights, and other locals on the margins, The Last Black Man in San Francisco is a poignant and sweeping story of hometowns and how they’re made, and kept alive, by the people who love them. The emotional joyride set in the city by the bay stars Jimmie Fails, Jonathan Majors (Hostiles), Rob Morgan (Mudbound), Tichina Arnold (The Neighborhood), and Danny Glover (Sorry to Bother You). Fails not only stars, but is also credited with the film’s story. Rob Richert co-wrote the screenplay with Talbot. After its premiere at The Sundance Film Festival earlier this year, it took home both the Sundance Best Director and the Special Jury Awards. The Last Black Man in San Francisco will open in theaters June of 2019. The post A24 Debuts The Last Black Man in San Francisco Trailer appeared first on ComingSoon.net.